Captchas not displaying is known issue that we're working on fixing. 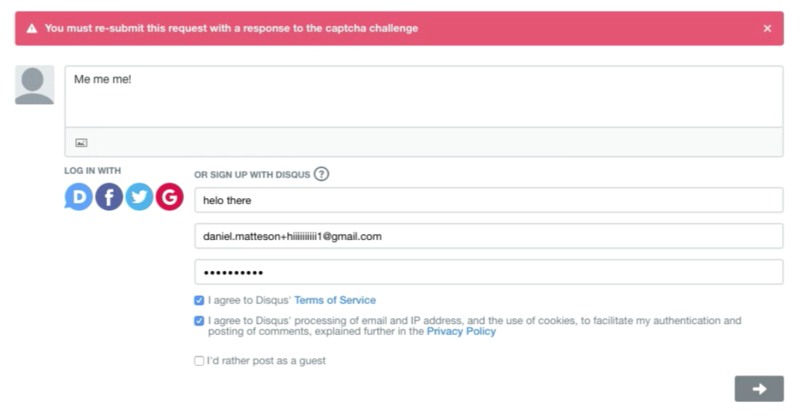 Currently, this affects signups on the Disqus comment embed on websites. For the time being, we recommend you signup at https://disqus.com/profile/signup/ before going back to the site you wish to comment on. We apologize for the inconvenience, and we're working getting this issue resolved soon.